This Saturday is hard. Not only I had to get up at 7am – pretty early for me on any given day, let alone Saturday. I had to drive all the way to Long Island. As I am blogging this, I am sitting in the lobby on Long Island Marriott Hotel & Conference Center. This is March 2008 and it’s almost 30 miles from New York City. The cell phone even shows 3G network. Which I am comfortably using. Guess what? The wireless internet connection that is redundant and free less then 30 miles from here costs $2.95 for 25 minutes, with $.25 each additional minute. Or you can pay $19.95 per 24 hours of wireless internet. It’s a same scam that other hotels running. Imagine a hotel charging you additional money for using a water fountain. Or a restroom. Or timing you sitting in those supposedly comfortable chairs in the lobby. Two dollars per 30 minutes of sitting, after your time expires some hotel worker comes to your chair and throws you out unless you pay more money. Personally, I don’t see any reason why hotels wouldn’t do that. One might argue that the infrastructure costs money. Sure it does, but I’d be delighted if someone would provide any real-world numbers as to how much hotels make off of the paid internet connectivity. And how much they loose. Being a small business owner myself, I am very conscious when it comes to additional and hidden charges. So if I would come up with the idea of having a seminar here or there, the fact that anyone coming to my conference (say it’ll last for 4 hours) would have to cough up anywhere between 12 and 20 bucks just to check their e-mail, take their notes online or blog about the event would be embarrassing. Of course, it’s capitalism out there and people wouldn’t stop having meetings and conferences and seminars at hotels just because of outrageous prices for internet connectivity. Bus someone must bring hotel management up to speed with the outside world. Next time some doctor decides to have a meeting at a hotel’s conference center this Marriott may just be out of luck. Just because people use internet more then for 25 minutes at a time. 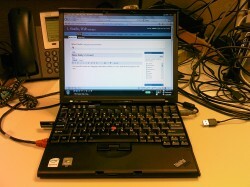 Got myself a brand new blogging workstation, thanks to a very good deal on Lenovo’s web site. The screen is as small as I could get (12.1″ with 1024×768 screen resolution), the whole thing is so light I almost forgot I am holding something while was carrying it between rooms at home. The unit I ordered came with 2GB memory and large 8-cell battery that, as Windows Vista Home Basic shows, should last for as long as 6 hours. Of course that Vista thingy will be the first to go, since I don’t really have a need for latest and greatest in such a small laptop. Perhaps Ubuntu or trusty old Windows XP (given that Service Pack 3 is almost upon us) would do much better. The reason for purchase was (again!) my recent trip to Chicago. 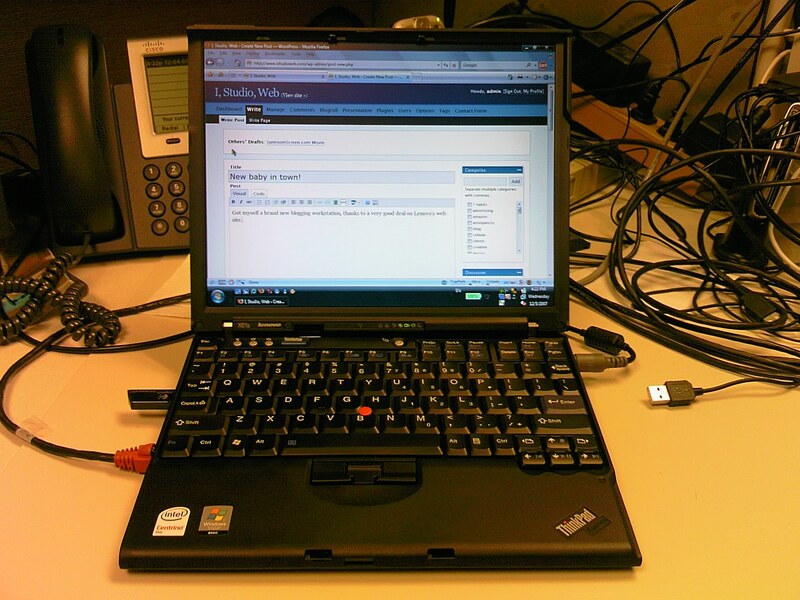 I had a dozen things to do, but hesitated given the size of my primary workhorse laptop (15″ 1600×1200 IBM ThinkPad T60p). X61s, however, is much more convenient in this sense and (aside from taking a lot less space and weighting a lot less) has much better battery life. The only thing that is truly missing is the Ultrabay Slim extension bay, so if I would want to watch movies on the road, my best bet would be to rip them to hard drive. Another thing I figured out is how NOT to rent a car. On the spot, even if you have a reservation, agent will try to upsell you stating that they don’t have the car you reserved. In my case instead of Dodge Charger the company’s (Dollar Car if you’re interested) representative stated that the only car they have in the same class would be Dodge Caravan. How are they in the same class beats me, but I ended up renting Chrysler 300 which was good enough for my purposes. Next time I’ll skip online reservation altogether and just show up at their desk inquiring as to what they have. If I don’t like the selection – I’ll just move on to the next desk. In Chicago Midway airport (another saver on ticket price) all rentals’ desks conveniently form a single line, so it won’t be a big deal with two bags under 50 lbs each. Hotels are finally catching up to the 21st century. Last year, when I was in Arizona, Hilton hotel wanted $25/day for high-speed broadband. One year later, on this trip to Chicago, I stayed in two hotels (how that happened – long story) – La Quinta in Arlington Heights and Holiday Inn. 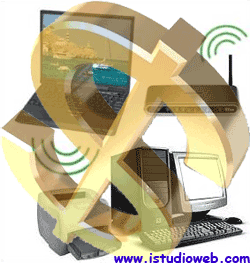 Both feature free wireless internet, no problems and no strings. Of course you have to jump through couple of screens and maybe enter the access code (listed on a special note in your room), but other then that everything worked smoothly. I even didn’t have to pull out my cell phones (I brought both AT&T and Verizon devices, just in case) to use as a cellular modem. On the road I used my Garmin nuvi 360 GPS unit with firmware updated to version 3.90 (was actual as of the first day when I arrived in Chicago). Except for one total failure to deliver me to Olive Garden somewhere close to airport (almost ended up in someone’s backyard) the thing worked fine, much better and faster then Google Maps on my HTC Advantage. Last thing I’d like to mention is the airlines (again). If the current trend is any indication – in next several years seat space will decrease even more (I guess we all be standing on short flights), the weight of allowed luggage will also decrease and there will be almost no room for carry-ons in cabin, so we will only be allowed one personal item (like laptop). But they will be banned for security reasons.